We have added some additional tips and tricks to supplement our original list and help you with the relentless laundry flow before it spells doom! Don’t get caught by the laundry avalanche! 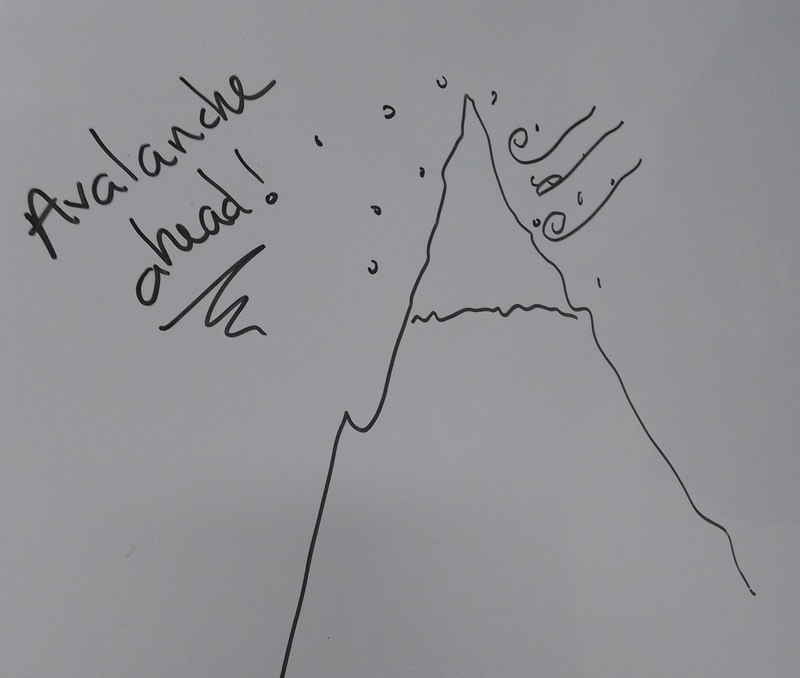 Look at leaving a dry-erase marker on your washer/dryer set like leaving a cache of supplies for future mountaineers. Instead of one of your many little adventurers searching the house and up down for their jersey or special shirt, a note can tell them that it’s sitting in the dryer. If you have set up a system where everyone pitches in, you can leave a note suggesting that the next visitor move a load from the washer into the dryer. Or you could suggest when towels will be dry enough to pull out of the dryer before the load completes. It’s a handy tool! We just suggest that you first try the dry-erase marker on a relatively hidden part of one of the units to make SURE it’ll easily come off. And you may want to explain to younger kids that while THIS marker is okay to use, that doesn’t mean ANY old marker will do. 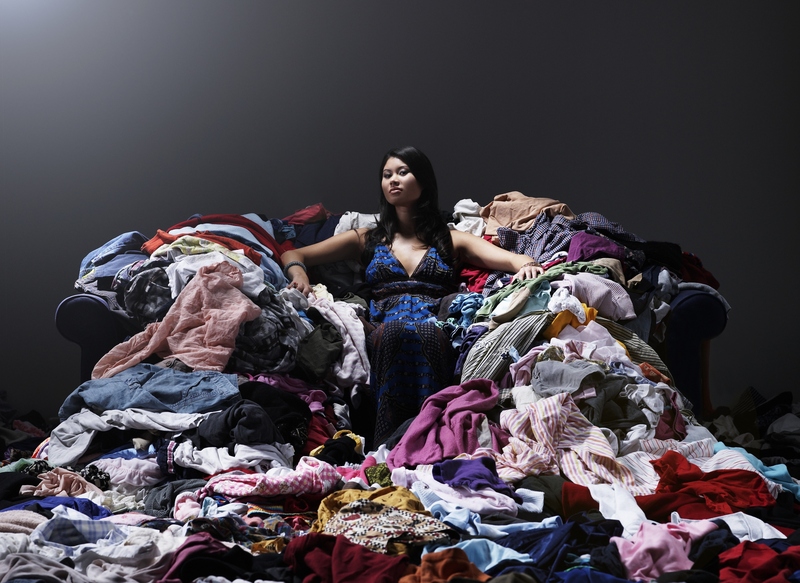 Whether you’re combining new families or simply feeling overwhelmed due to an overwhelming amount of laundry, there is a fairly obvious solution that some may be loathe to confront: getting rid of the excess. We may consider that hanging on to an old article, even for one of the kids, is preserving us from having to go shopping sooner. But is that really true? If the torn shirt or jeans with a hole in the leg aren’t being worn, then it’s one more piece of clothing that we have to check for cleanliness once or more times a week. 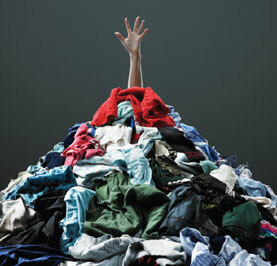 Unworn clothing could be adding substantial time to our laundry cycle. Making a weekend project of setting aside what isn’t being worn for donation or trash can have a great positive impact on the kids’ wardrobes as well as overall laundry time completion. Lighten your laundry load! Tune in next time, as we are sure to gather more survival tips and solutions for your large family laundry room. Next articleSpring Cleaning: Tackle that Garage!